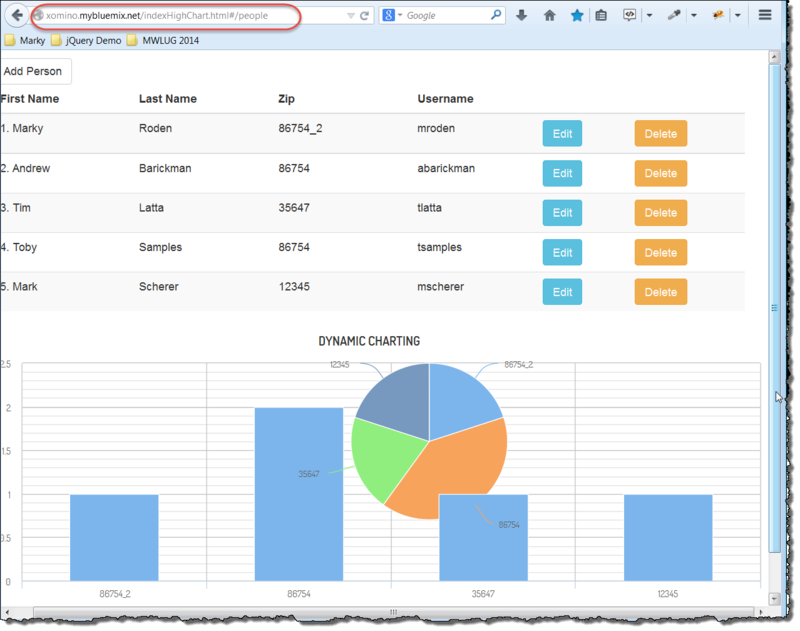 In this article I will show you how to run an XPages application based on Angular data within a Bluemix based website. For background reading on this article please review my series on Angular.js in XPages starting here. I will be using the application described within that article as the starting point for this article. Bluemix is IBM’s new Platform as a Service (PaaS) system which provides the end to end cloud based hosting of application services. For more information check out www.bluemix.net and read up/follow Ryan Baxter‘s blog. Bluemix provides cloud based services including many things ranging from MongoLabs hosting and SMS sending to Node web servers and Static sites. 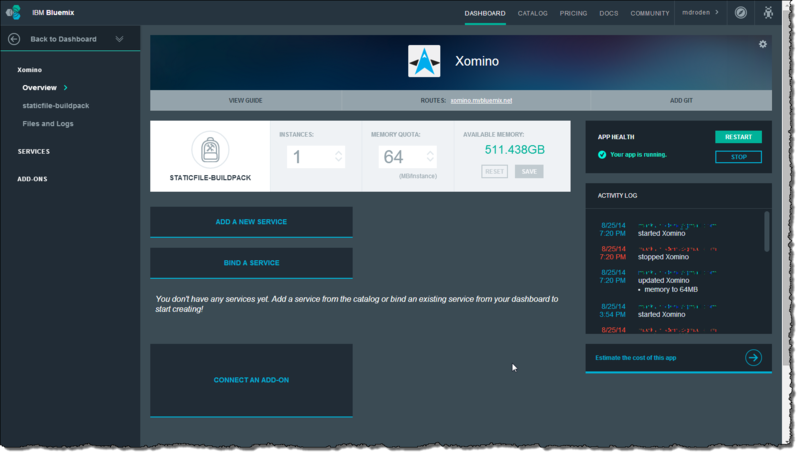 You can register for a 30 day free trial of Bluemix from the previous link. I strongly suggest you look up bluemix videos on You Tube first to get an idea of what is possible. For this example we will be creating a static site. And it is really rather simple. 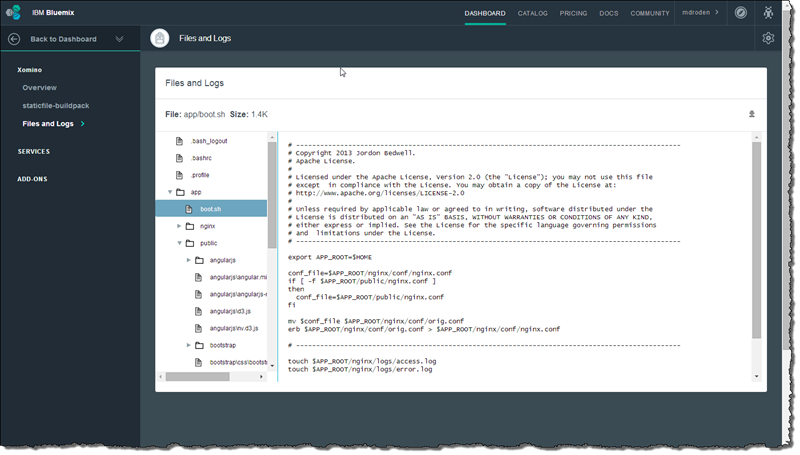 You will need to set yourself up with Cloud Foundry – using the instructions on the Bluemix site. Look at the Quick Start instruction for installation of the Cloud Foundry files. These are the command line tools which are necessary to post your site from local machine to the bluemix site. There are other ways but this is the way I did it. Talking about Beer and Angular and Bluemix…..
and after that – looking at my Bluemix log it took 13 minutes of bug fixing and stupid idiocy to get this up and running – SWEET !!! 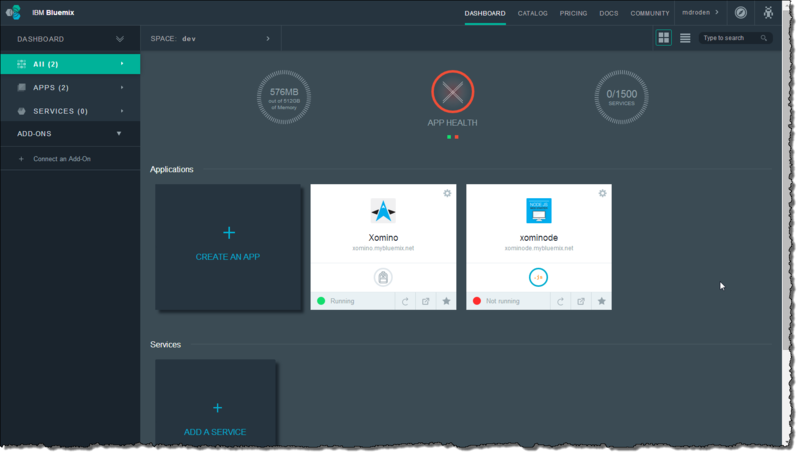 When I say running in Bluemix I really mean that – because all the files are loaded up on the Bluemix site (view source below) – this truly is a Bluemix hosted application. 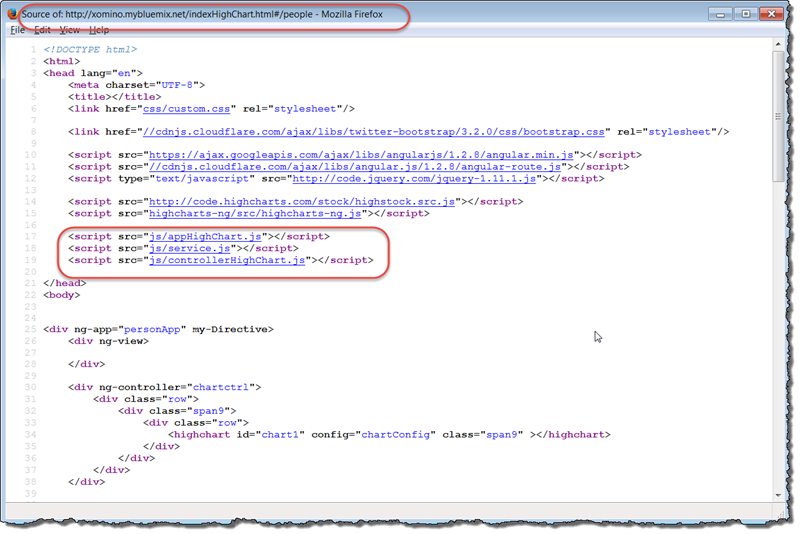 ← MWLUG 2014 Slide Deck – Write once, run anywhere: Angular.js in XPages.